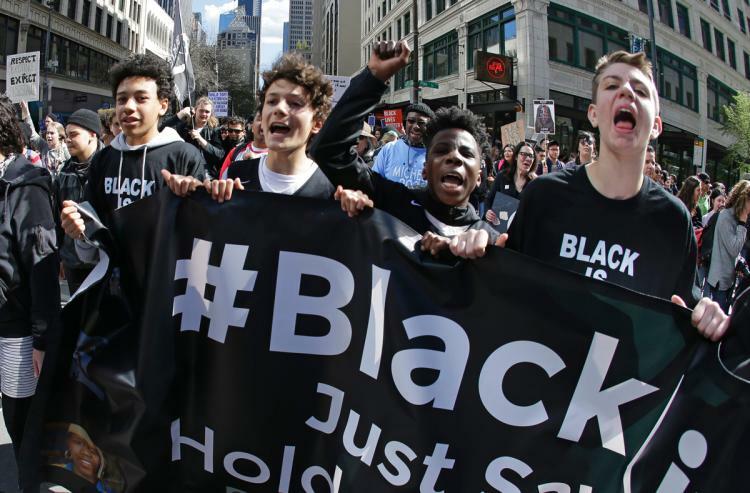 ← Black Lives Matter… or do they? Various racist groups commit the fallacy of composition when they decide that because some black people are lazy and stupid that all of them must be lazy and stupid. The fact is, there are many who are not. Similarly, these racists assume that, because they can find a person who is both black AND lazy and stupid that there is some causative connection between blackness and laziness and stupidity. When all the facts are in, it becomes clear that it is asinine to believe that the density of melanin in the skin could have an effect on the character of the person. Liberals, including Black Lives Matter, make the fallacy of composition when they decide that because some black people are victims of racism or other oppression that all black people are victims of racism or other oppression. The fact is, there are many who are not. In terms of American history, they assume all black people are descended from American slaves, when in fact many are not. Various racist groups including Black Lives Matter commit the fallacy of composition when they decide that because some white people are hateful white supremacists that all of them must be hateful white supremacists. The fact is, there are many who are not. Similarly, these racists assume that, because they can find a person who is both white AND hateful white supremacists that there is some causative connection between whiteness and being a hateful white supremacists. When all the facts are in, it becomes clear that it is asinine to believe that the density of melanin in the skin could have an effect on the character of the person. Liberals including Black Lives Matter make the fallacy of composition when they decide that because some white people are guilty of racism or other oppression that all white people are guilty of racism or other oppression. The fact is, there are many who are not. In terms of American history, they assume all white people are descended from American slave owners, when in fact many are not. Thus the white supremacists and Black Lives Matter are using the same kind of logic (or lack there of) to come to the wrong conclusions. I guess we can take comfort in knowing that stupid comes in every color. This entry was posted in SocioPolitico and tagged black lives matter, racism. Bookmark the permalink. I think the point of your article is very well taken. The one critique I will offer is the use of the term, ‘stupid’ near the end, is too simplistic and is itself a form of ‘fallacy of composition’ as in it suggests the assumption that all people who think the way you are outlining are stupid. Clearly, this is not the case as many very well educated and intelligent people are guilty of this ‘assumption’ leading to warped perception, bias, prejudice and racism… I think that the sentence should be re-written to include something like…: ‘I think we take comfort in knowing that bias is often born of assumption and ignorance thus producing simplistic and unbalanced attitudes which then becomes popular and influential perpetuating confusion and conflict.’ Education provided to sincere students supports broad-mindedness and is pivotal towards the creation of healthy and balanced societies that support multi-racial and cultural representation. While I appreciate your suggestion, I think my version would be easier to fit on a bumper sticker or t-shirt, and I always like to keep an eye open for merch opportunities. But I hope people will scroll down here to the comments and see your suggestion.